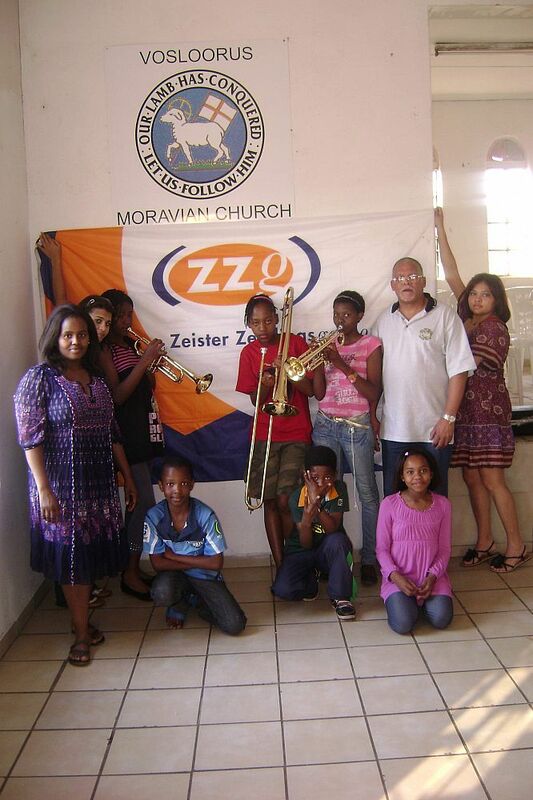 At our first meeting in 2011 the BBSA executive took a decision to start brass bands in Districts 7 to 12 of the Moravian Church in South Africa to ensure that BBSA has a presence throughout the MCSA. This would be a legacy to our 60th anniversary. A young band at El-Shaddai in District 7 was already taking root, but it was largely isolated in Gauteng. The band at Mvenyane in District 12 was fast waning as old age and ill-health took its toll on Sr Mary-Anne Njeje, their leader of many years. Sr Neje finally succumbed to her illness when she passed away three weeks after attending our 60th anniversary festival in Port Elizabeth. A substantial sum of money was made available for this project from funds donated to us by the Rev Karl and his late wife Marianne Schiefer. 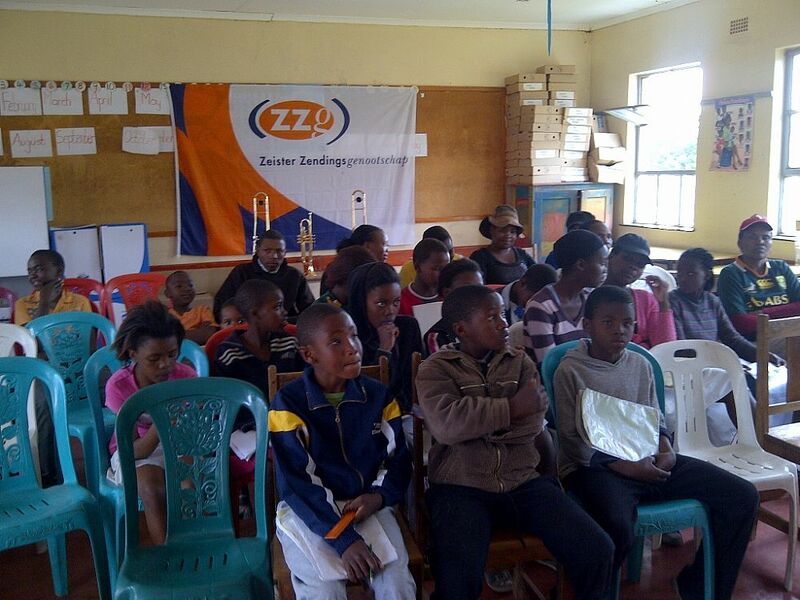 The MCSA also made a contribution, and the Zeist Moravian Missionary Society (ZZG) also agreed to become involved with funding the project. 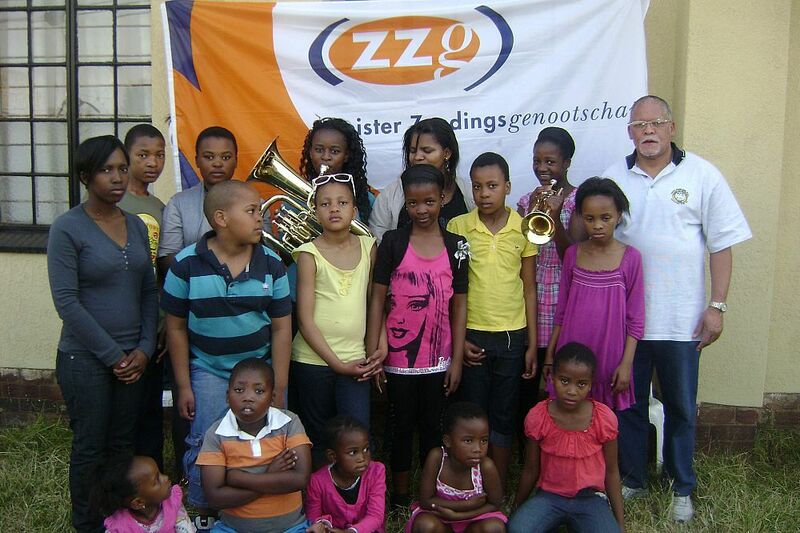 The project is being run in the Eastern Cape under the leadership of Tyrone Hitzeroth. 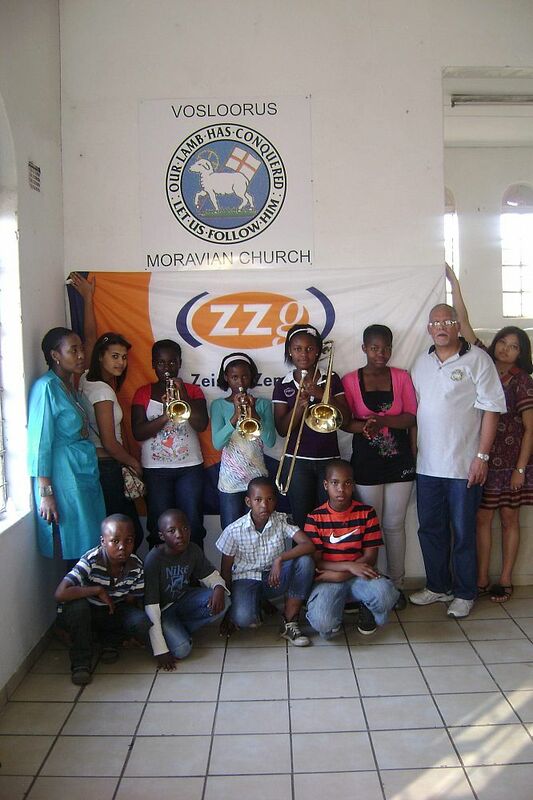 The initial consultation with districts was a protracted affair, but the project could finally get started on 27 August 2011, when three new brass bands were formed in Gauteng at Daveyton, Diepkloof and Vosloorus congregations. 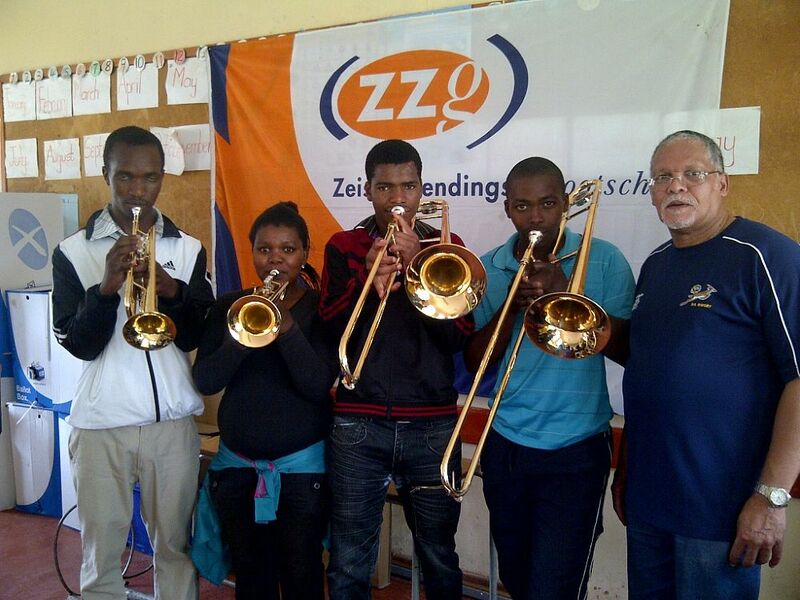 The initial plan was to form one band in each district at district level, but the availability of instruments collected by Terence and Renaldo Johannes over a few years for a similar purpose, together with the involvement of ZZG, allowed us to start three bands at congregational level. This, of course, is less problematic than starting bands at district level. 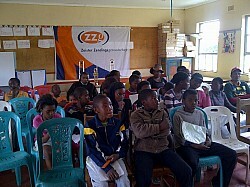 We are fortunate in that we have several players working in the Gauteng District who can assist with teaching. Renaldo Johannes, Sherwyn Rossouw and Alexander Hitzeroth will play a key role in this regard. 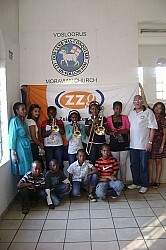 On 10 September 2011 we were able to start 2 brass bands in the Umtata District at Baziya and Tabase congregations. Here Bongani Silinga, a former executive member of BBSA, will be responsible for the teaching. In each case were were only able to supply a very basic set of instruments to start a band, and congregations are expected purchase more instruments to grow the bands. 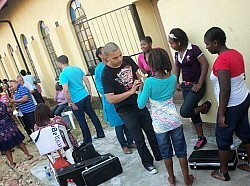 Any donations of instruments for this project, whether used or new, will be highly appreciated. We plan to start bands in District 10 in October 2011 and in the remaining districts in November 2011. Our ability to continue starting more than one band in a district will be dependant on the availability of instruments and funds.